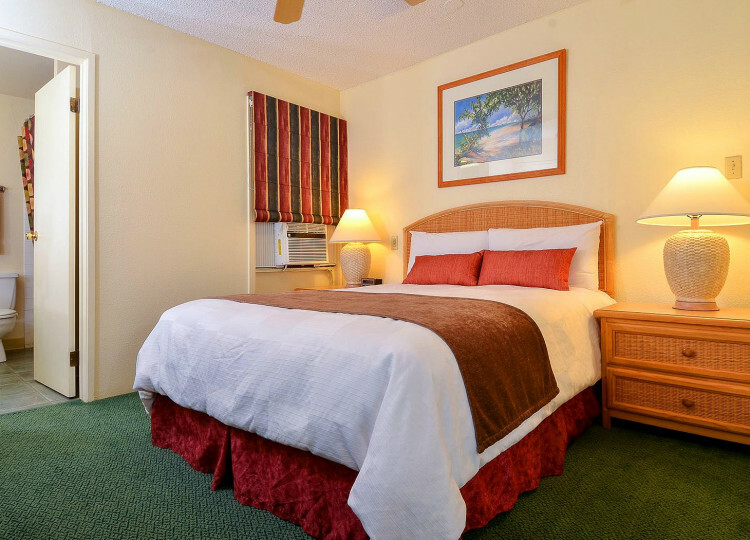 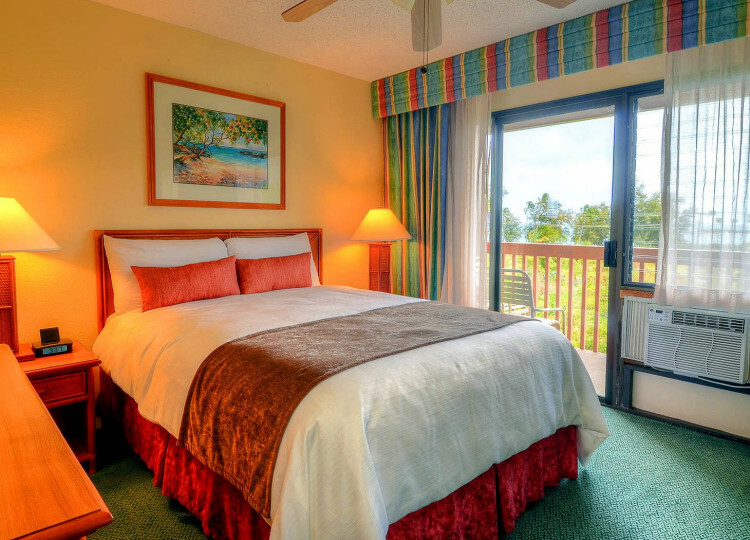 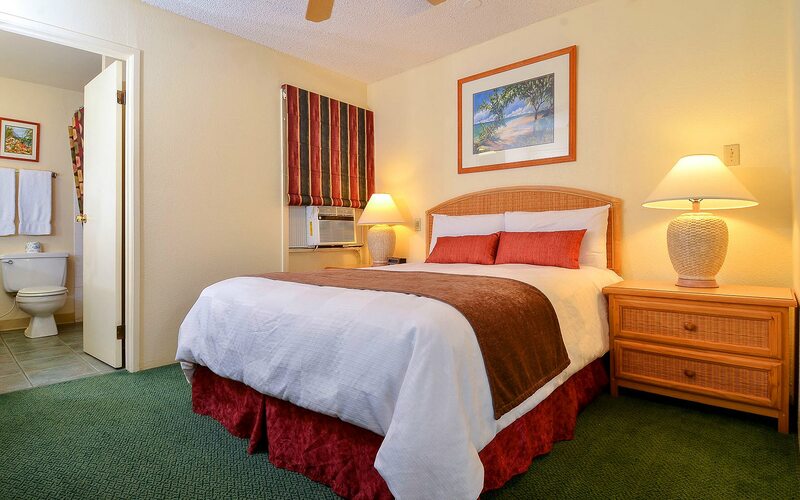 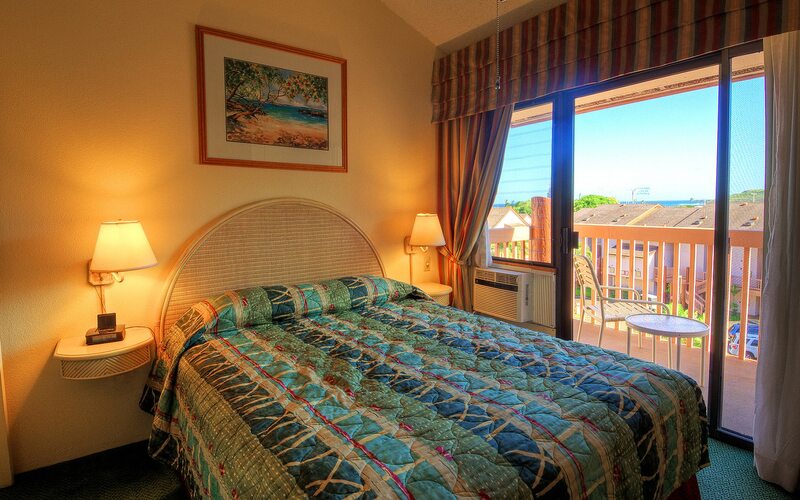 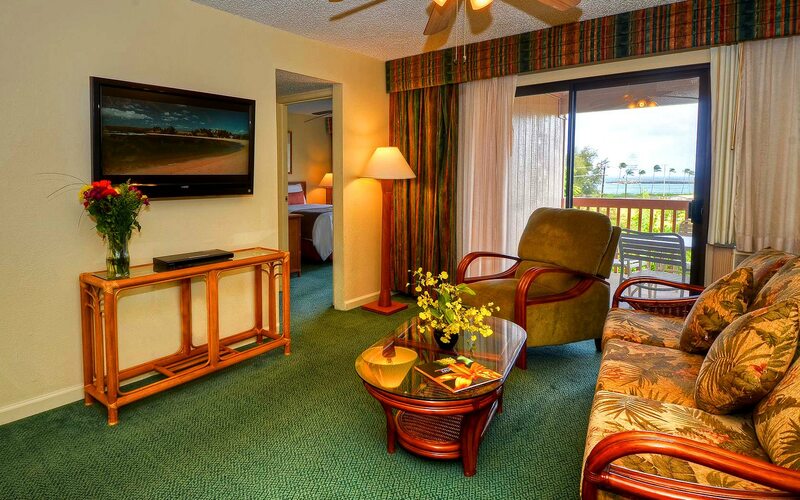 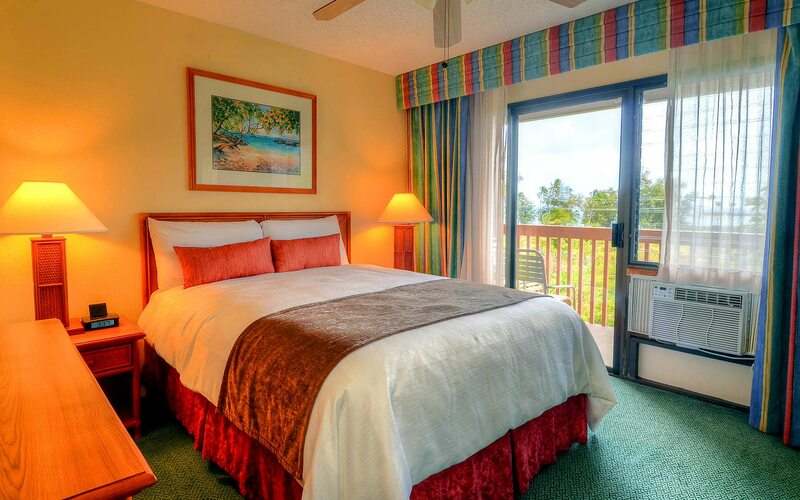 Indulge in a sound night’s sleep between big island adventures during your Hawaii vacation. 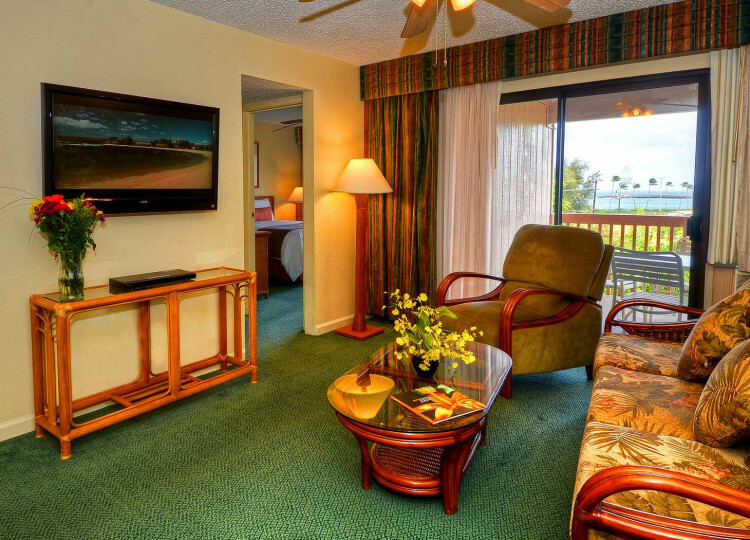 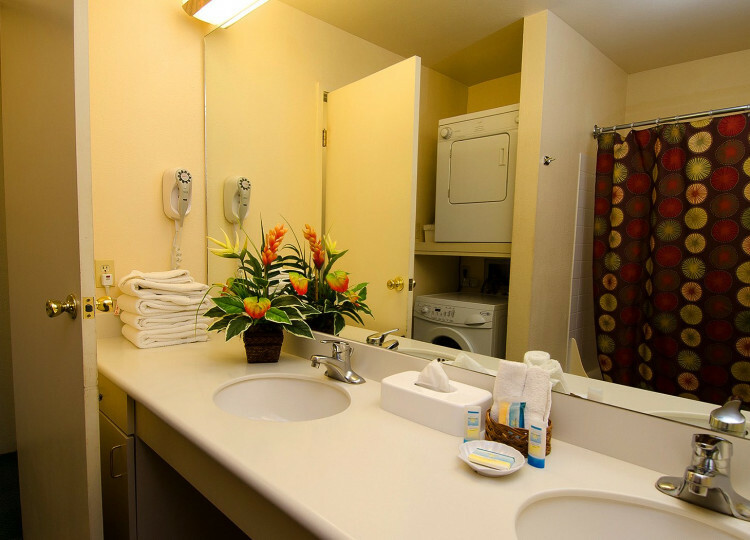 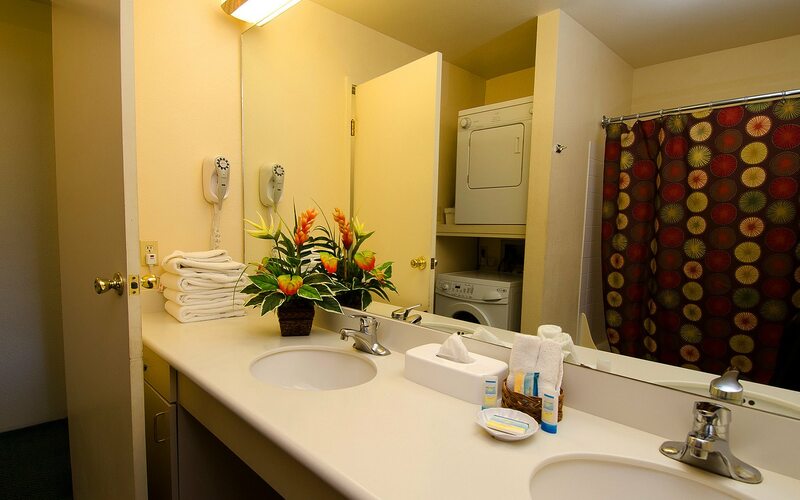 Our spacious Kauai condominiums are comfortable and clean, with tropical decor and thoughtful amenities your family will enjoy. 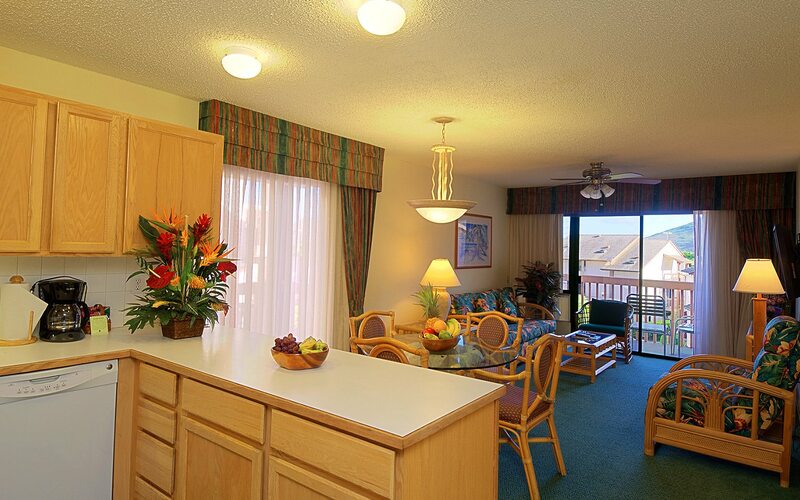 Dive into traditional Hawaiian cooking in your full-sized kitchen, plan an excursion from the comfort of your living room, and take in views from your own private lanai. 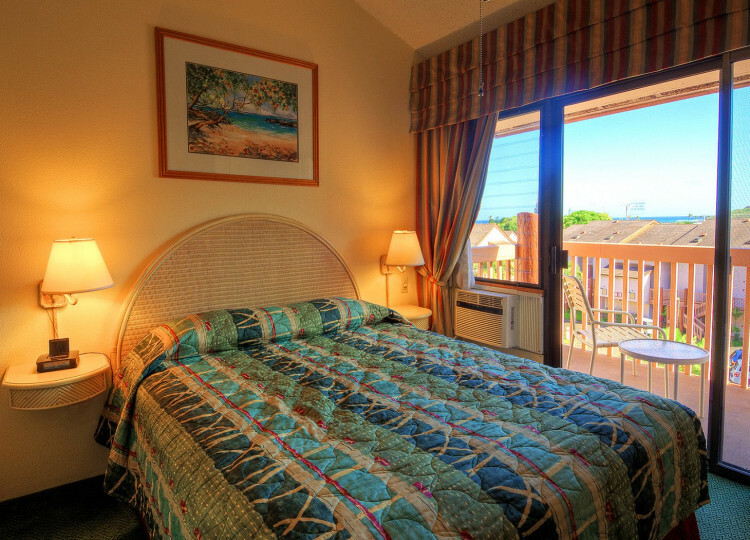 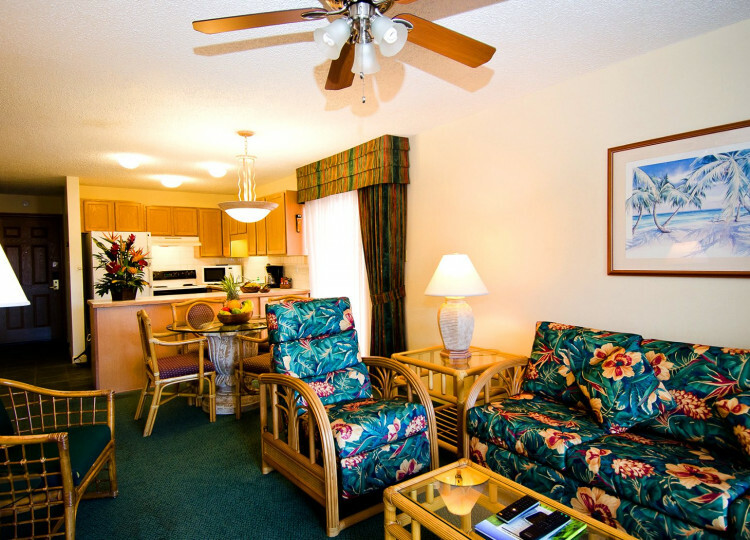 Our Kauai vacation rentals are ideal for family trips and romantic getaways on the Garden Island. 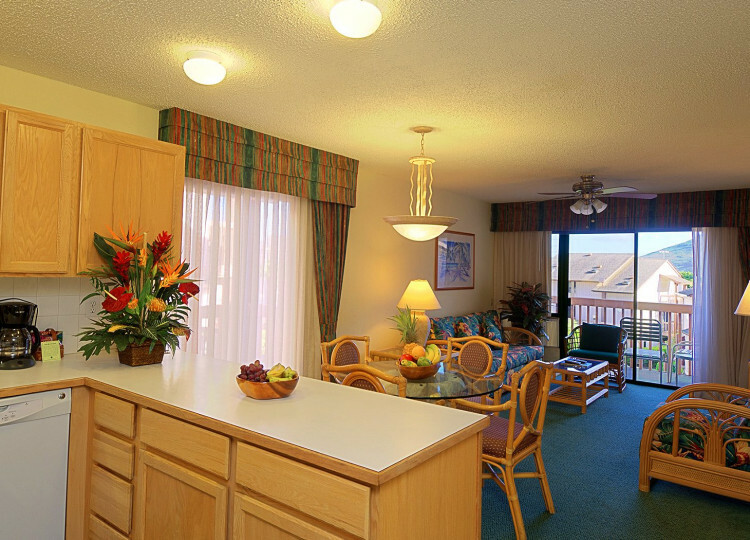 Each one bedroom condominium comes with a separate bedroom, living room and dining area, and a fully-equipped kitchen plus a private lanai. 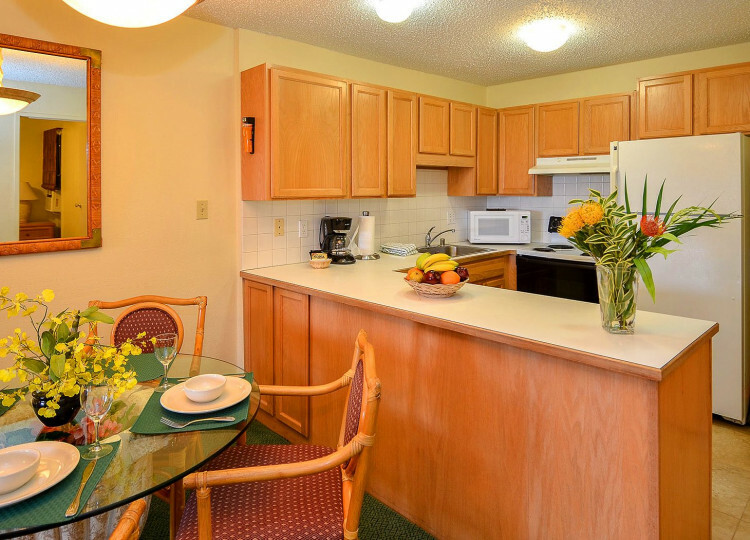 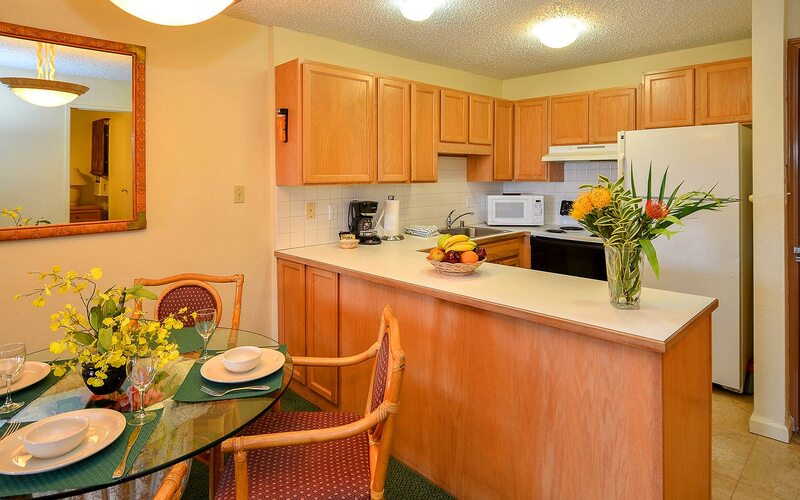 Perfect for families and groups traveling together to the Garden Island, our two bedroom townhouses offer plenty of room for everyone. 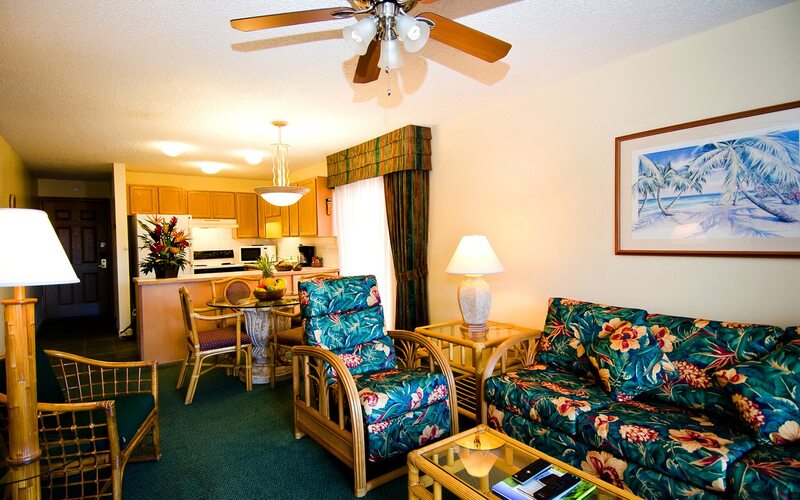 Enjoy two separate bedrooms, a living room with dining table, and a furnished private lanai.